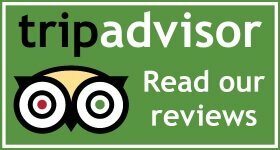 Another year we have got a certificate of excellence from TripAdvisor. This is for us huge award for our everyday work, it gives us kick of energy to push even more to give you the best experience. Because everything we do we do for you, to make your trip to Cracow unforgettable. Thanks a lot for each and every review! We are grateful for every single review, it is always really nice to read them. We’ve received 118 positive reviews and 94 of them are EXCELLENT and just 9 are VERY GOOD ratings. We never got any negative opinion! We feel honoured and happy that you appreciate our effort. All 118 reviews rank us on the 6th place in Fun & Games in Krakow! This entry was posted in About Us, Customer Reviews, Ideas, Krakow, News. Bookmark the permalink. Axe Throwing – Perfect Activity for Girls!